Q: Although my husband and I are Roman Catholics, we have attended a Byzantine parish for many years. We adopted four children as infants from Eastern Europe. The orphanage director gave us their baptismal certificates written in Russian, and told us that an Orthodox priest came to the orphanage occasionally to baptize. A: There are so many problems with this situation that it’s hard to know where to start. Let’s begin with the law on adopting children in general, and then look at the eastern-Catholic aspects of the problem, before we attempt to sort out the specific sacramental issues involved. Canon 110 lays out the Church’s basic rule regarding adoption: children who are adopted in accord with civil law are considered to be the children of the parent(s) who adopted them. In other words, the Catholic Church follows civil law on this issue, which isn’t particularly surprising. Therefore, under canon law Katherine and her husband are the parents of the four children they adopted, precisely as they would be if they were the children’s biological parents. Katherine and her husband are Latin Catholics. As we just saw in “Why Don’t We Marry Validly Before a Ukrainian Catholic Priest? 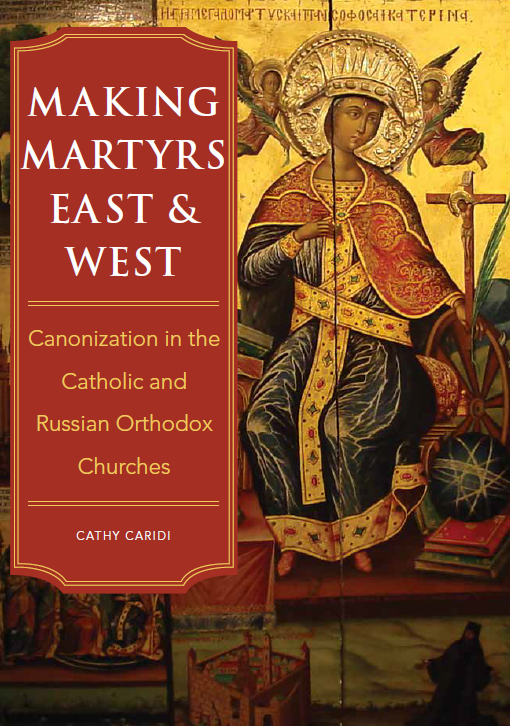 (Eastern Churches, Part I),” the vast majority of Catholics around the world are in fact Latin Catholics—whether they realize it or not—but there are also nearly 20 other smaller Catholic Churches, mostly with origins in eastern Europe, northern Africa, the Middle East and India. While their rituals may look very different from the Roman rite that most of us are used to, they are truly Catholic, all having the same faith, same sacraments, and same governance (cf. c. 205). All of these groups of Catholics, including Latin Catholics, are known in technical parlance as Catholic Churches sui iuris. Katherine says that she and her husband “have attended a Byzantine parish for many years.” Strictly speaking, the term “Byzantine” is the name of a rite, not of a Catholic Church sui iuris. Several different Churches sui iuris all use the Byzantine liturgical rites; these include the Romanian Catholic Church, the Ukrainian Catholic Church, and the Ruthenian Catholic Church. It’s very common to hear people say that they “belong to the Byzantine Church,” but this is incorrect. Catholics belong to a Church, not to a rite. We actually don’t know which Church sui iuris Katherine and her husband have been attending. We do know, however, that as per canon 112.2, even if you regularly attend a parish of another Catholic Church sui iuris, that doesn’t make you a member of that Church. Consequently, Katherine and her husband are still Latin Catholics, regardless of how many years they may have attended Sunday liturgy at the parish of an eastern Catholic Church. Thus we have two Latin Catholics, who adopted four infant children. These children are, therefore, Latin Catholics too. Period. It makes absolutely zero sense to claim, as the eastern Catholic priest did, that “their case is different because of their birthplace and having been adopted, rather than born to us.” This is gibberish, completely unsupported by canon law. As was just stated, canonically these children are to be considered precisely as if they were Katherine and her husband’s biological children. So that is the first mistake here—but it gets much worse. The orphanage which originally cared for these children in Russia told Katherine and her husband that they were baptized in the Russian Orthodox Church (which is hardly surprising), and gave them the children’s original baptismal certificates. As any Russian Orthodox person—priest or not—can tell you, when children are baptized in the Russian Orthodox Church, they are at the same time chrismated (i.e., confirmed). As we saw in “Why is a Catholic Permitted to Marry in an Orthodox Ceremony?” the Catholic Church recognizes the sacraments celebrated in the Orthodox Church as valid. The Catholic Church holds that the Orthodox have validly ordained clergy, and the rites that the Orthodox clergy use to administer the sacraments are valid too. These Russian children have original baptismal certificates from a Russian Orthodox parish, and thus there is absolutely no reason to think that they had to be rebaptized or re-confirmed, conditionally or otherwise! (See “Do Converts Have to be Rebaptized?” for more on this.) It makes no difference whether Katherine and her husband were present at their baptisms or not, and why would it? Unless someone can show that the manner of baptizing and chrismating these children was defective—in other words, that the Russian Orthodox priest did something highly unusual in their case—or that the baptismal certificates are somehow fraudulent, the Catholic Church accepts that they have been validly baptized and confirmed. Period. (c) they should contact the pastor of their Latin Catholic territorial parish (see “Parish Registration” to see how one’s parish is determined), and arrange with him to record the reception of these infants into the Catholic Church, and do whatever else their Latin Catholic diocese might require to be done. Obviously, none of this happened. At this point, it’s worth noting that the clergy of eastern Churches are, virtually without exception, keenly aware of the validity of the sacramental ministry of their Orthodox counterparts. That’s why it is truly mind-boggling that this eastern Catholic priest took it upon himself to “rebaptize” and “re-chrismate” these children. In actuality, as the Catholic Church has always taught, you can only be baptized once (cf. c. 864), and confirmed/ chrismated once (cf. c. 889.1). This priest’s actions were therefore completely without sacramental effect, and he knew this. Given the utter irrationality of his actions, we unfortunately have to wonder what the eastern Catholic priest’s motivation really was. For example, was he anxious to gain new parishioners, because his parish size was dwindling? Another issue has to be raised here: did Katherine and her husband give the eastern parish a stipend for the “celebration” of four baptisms and four chrismations? In a legitimate situation, of course, this would be entirely appropriate, as was discussed in “Stipends and Sacraments.” But since none of these sacraments were validly conferred on the children, no stipend should be given—and if the eastern Catholic priest accepted one, justice dictates that it must be returned to Katherine and her husband. It should be observed that pretending to administer sacraments is a crime under canon law (c. 1379). This is, of course, exactly what the eastern Catholic priest has done here, a total of eight times (four baptisms plus four chrismations). While the canon just cited is from the Code of Canon Law applicable to Catholics of the Latin Church (c. 1), rest assured that this action is a crime for eastern Catholic priests as well. When Katherine sits down with the Latin Catholic pastor of the parish where she and her family reside (as presumably has already happened), what he tells her may vary depending on what country and what diocese they are in. It’s possible, for example, that Katherine and her husband may be required to attend a pre-baptismal preparation course for parents of a new child (see “Can the Pastor Refuse to Baptize Our Child?” for more on this topic), so as to ensure that the parents are aware of their responsibility to raise the children as Catholics. 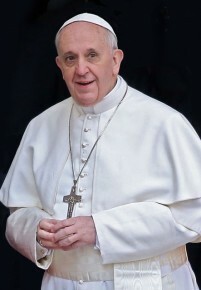 In any case, the Latin Catholic pastor will have to make a notation of some kind in the parish sacramental registers, to indicate that these four children are Latin Catholic members of the parish—regardless of where they and their parents attend Sunday Mass—and have already been baptized and confirmed. Maintaining accurate records is an important canonical requirement that was discussed in greater detail in “Canon Law and Marriage Records”; without them, there would be no evidence in years to come that these four children are, in fact, members of the Latin Catholic Church like their parents. It’s likely that the Latin Catholic priest will, at a minimum, give the diocesan chancery a head’s-up about this situation. After all, if the eastern Catholic priest has so thoroughly mishandled this case, it’s reasonable to assume that he’s done the same thing in other cases too. The Latin diocesan bishop is the one responsible for the spiritual welfare of the members of this family; he may therefore think it prudent to get in touch with the eastern Catholic hierarch who is the priest’s superior, to let him know what’s happened and ensure that it does not happen again. Sadly, this is what happens when a Catholic priest makes up the rules as he goes along! They may be too young to realize it, but Katherine’s children are lucky that the problem was spotted now when they’re still young, before more serious issues could arise—like the validity of their marriage, as seen in “Why Don’t We Marry Validly Before a Ukrainian Catholic Priest? (Eastern Churches, Part I).” Following canon law is not optional, as church laws exist for a good reason. This entry was posted in Baptism, Canonical Issues Involving Non-Catholics, Confirmation, Sacraments and tagged adopt, baptize, canon law, Catholic, chrismate, eastern. Bookmark the permalink.